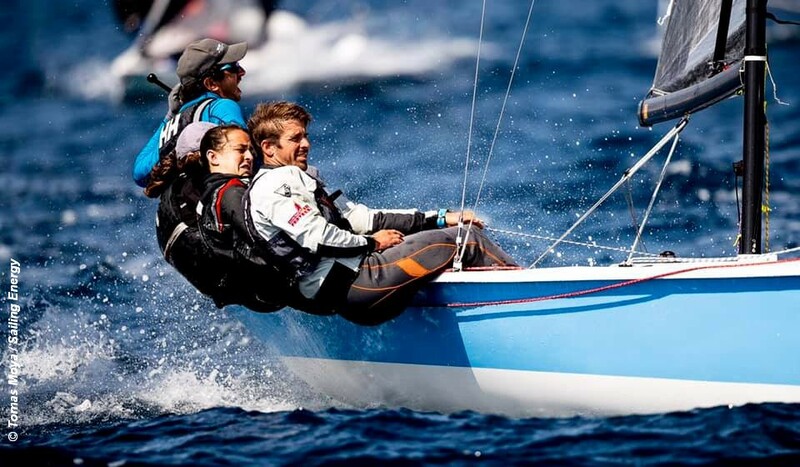 While the Olympic classes at the Trofeo Princesa Sofia Iberostar on Mallorca start on Monday, the invited keelboat classes are already racing. In the Dragon class, Ivan Bradbury, Lars Hendriksen and George Leonchuk on GBR 375, have a nine point lead after six races completed. In secon place are Frank Berg and Anders Halsteen on DEN 266, and in third place are the German team of Benjamin Morgen, Karl Morgen and Nicolas Radecke on GER 1180. In the Viper 640 class, British teams top the leaderboard. In first place are Lawrence Crisoen, Hector Cisneros and Luka Crispen on GBR274, second are David Hitchcock and Ian Nicholson GBR 285, and in third Spain’s Pedro Argon, Joan Fullana, Laura Martinez and Melania Henke. Leading the J/80 event is ESP 1116 of Francisco Javier Chacartegui with a five point lead ahead of ESP998 of Helena Alegre and Christian Fornes, with in third place AUS 694 of Kristyn Gills, after six races. While on Tortola, British Virgin Islands – Racing was canceled with barely a breath of air to spare on the race course. But that did not stop the partying . . . The start of the Vendée Warm-up, the first of the three stages of the Sardinha Cup, was held Saturday at Saint-Gilles Croix-de-Vie in ideal conditions. On the water, Groupe SNEF (Xavier Macaire-Achille Nebout) finished at the top of the inaugural 6-mile coastal course, a round trip between Saint-Gilles and Brétignolles-sur-Mer, but given the softening conditions announced, everything seems possible from here.